Please be informed that the contractor will be in the neighborhood paving streets (Phillips Ave., Kathy Kt., Burton Ave., and Adelpha Ave.) and driveway approaches starting on Wednesday, May 13, and running through the end of the week. This schedule could change if rain causes delays. We apologize for this disruption and will do our best to accommodate any special needs. Please understand that there will be delays in accessing the area at various points in the process while the asphalt is placed and cooling. It can be up to four hours before vehicles are permitted to drive on the freshly laid pavement. 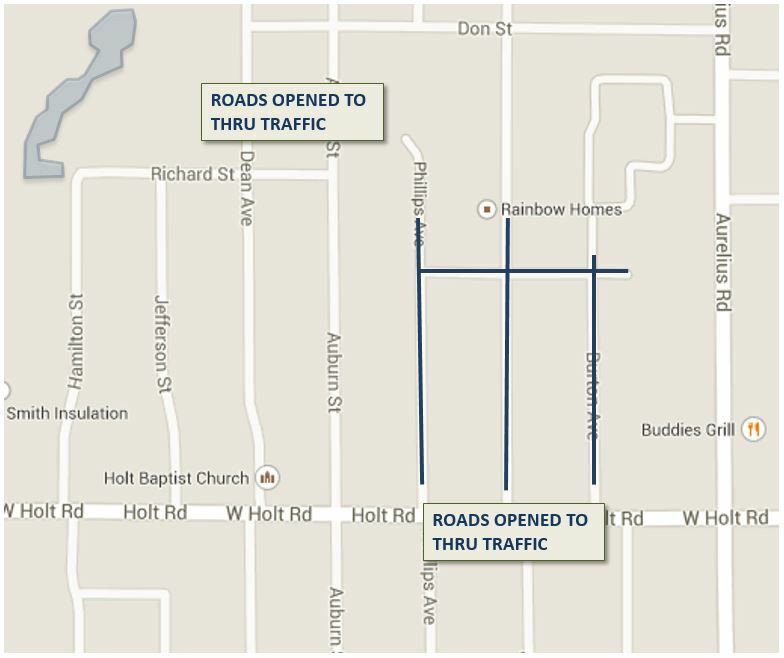 The schedule describing which streets will be paved on which days has not yet been finalized; however, the contractor will be paving the asphalt approaches (the driveway areas adjacent to the street), before paving the roads. If you have an asphalt approach and you will need your car during the day, we recommend that you have your vehicles out of your driveway before 7 a.m. on Wednesday morning and that you park off your street. On Thursday and Friday, vehicles should be parked away from the work area to avoid getting them trapped on the site by 7a.m. During the day, you may not be able to get to your driveway. If you need your car during the day, please park off your street. Repaving the road is the last major phase of the project. As always, we appreciate your patience as things are wrapping up. Minor restoration, including placement of road shoulders, top soiling, seeding, and other items will still occur after paving the road. Thank you for your continued patience and support. If you have any questions, concerns, or special circumstances, please contact us.